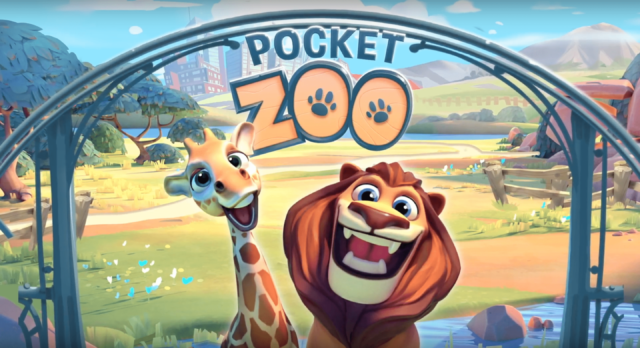 Pocket Zoo is a match-3 with a very extensive animal collection meta-game. I joined as the 2nd engineer when the team was only 6 people, and saw it grow up to 25 people. I worked on all parts of the game, to name a couple things: AI (pathfinding, behaviour), animation, content management, tooling, match-3 and many features such as the caring for the animals, decorating, Gacha, speech/dialogue, etc. During prototyping we mostly worked on making the animals behave fun and cute as possible, that meant a lot of trying out with animations and making the animals move in a natural way. It’s a lot tougher with quadrupeds than with bipeds! After prototyping, I spend a lot of my time on the content pipeline and the (Unity Editor) tooling that comes with it. We automated a lot, to make content production as smooth as possible. We also wrote a simple but flexible AI system that made use of our own animation system on top of Unity’s legacy animation system. Sadly enough, we stopped the game during production. I did a Unite talk with my colleague Heiko on how we solved certain technical challenges. We also made an unofficial “trailer” to showcase the systems we had in the game. Both can be seen below.